We are proud to announce that Day Translations, Inc. and Duke University have entered into a mutual alliance. The agreement provides all staff members and students of Duke University a special discount on all their language services requirements, which include document translations, certified translations, academic evaluations and interpreting services, among others. Day Translations, Inc. is widely known for its accurate translation work and its brand of service known the world over. Duke University is a prestigious public research university located in Durham, North Carolina. It has an international reputation as a powerhouse in research and academics. The special alliance between Duke University and Day Translations, Inc. brings mutual benefits. The university can avail of a 10% discount on all the translation and interpretation requirements of all the staff and students of the University. We in turn are proud to serve such a prestigious educational institution. Duke University was founded in 1838 by the Methodists and the Quakers. Although it still has close ties with the Methodist Church, Duke University is independent and non-sectarian. Its original name, while it was still in Trinity, was Brown’s Schoolhouse. In 1892 it moved to Durham, North Carolina where it received an endowment from industrialist James B. Duke, who established The Duke Endowment. The school thereby changed its name to honor Washington Duke, the father of James. Its campus covers 8,600 acres with three adjacent campuses in Durham and a marine lab located in Beaufort. Most of its buildings were designed in Gothic and Georgian architectural styles. 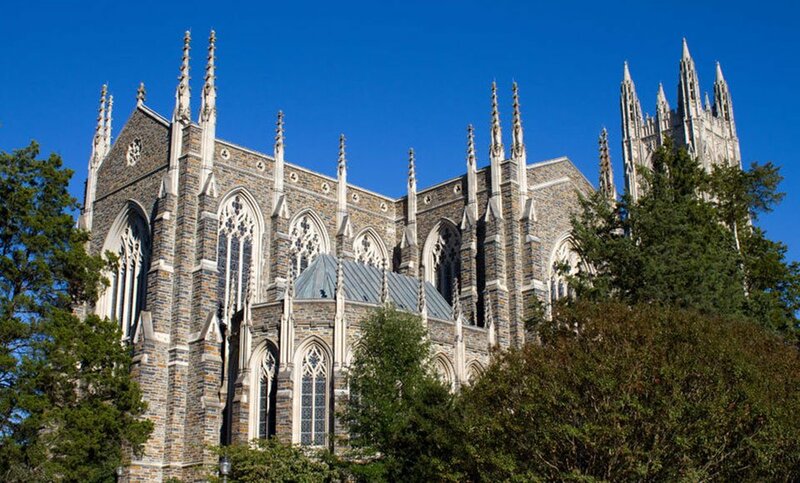 The university owns 220 buildings, most of which were designed by famous African-American architect Julian Abele, including the impressive 64-meter high Gothic-styled Duke Chapel located on the highest part of the university campus. The East Campus on the other hand, which is largely freshmen-populated, has Georgian-styled buildings. Duke University has an academic staff of 3,262, an administrative staff of 8,280 and 35,510 campus employees. For Fall 2013 it had 6,495 undergraduates and 8,105 postgraduates. As of 2014, Duke University has produced 43 Rhodes scholars. It is one of the toughest universities to get into. The university is very selective with is admissions. For its Class of 2018, it had received 32,506 applications, from which only 10.7% of applicants have been admitted. There are so many interesting facts about North Carolina. 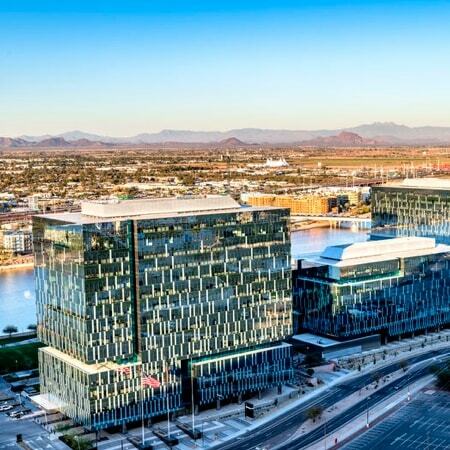 Through our work with different states, we have collected quite a large collection of facts and trivia that we love to share with our clients and friends. Here are some fun and interesting facts you might want to know about the State of North Carolina. Many “firsts” occurred in this state. The first gold rush in America was at Cabarrus County. The first successful flight by the Wright Brothers using a mechanically propelled airplane was completed over the beach in Kitty Hawk. The first professional homerun made by Babe Ruth was in Fayetteville. Virginia Dare, born in Roanoke, was the first English child born in the United States, and Pepsi was first created and served in New Bern. North Carolina also has several big and small features. The world’s largest private house with its 250 rooms is the Biltmore Estate located in Asheville. The world’s largest freshwater sound is the Albermarle Sound while the Tryon Daily Bulletin is the world’s smallest daily newspaper. Translation is a different discipline than interpreting. It is a myth when people say translators are also interpreters. A native speaker is a good translator provided the person possesses discipline, practices continuously and prepared to study. During the staging of the Winter Olympics in Sochi, the local Olympics committee employed 1,000 professional interpreters to help athletes and spectators. Their call center provided information in Russian, Korean, Japanese, German, French, Chinese and English round-the-clock.